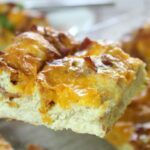 When I was growing up my family didn’t have a whole lot of traditions, but on birthdays we always had breakfast casserole. Always. And it rocked! My sister has since continued the breakfast casserole tradition and over the years she has honed our mom’s basic recipe to the point of perfection. Seriously friends, this simple but delicious recipe is so good you might cry. My husband was in heaven the first time I made it, and my girls gobbled it up like they had never seen food before! 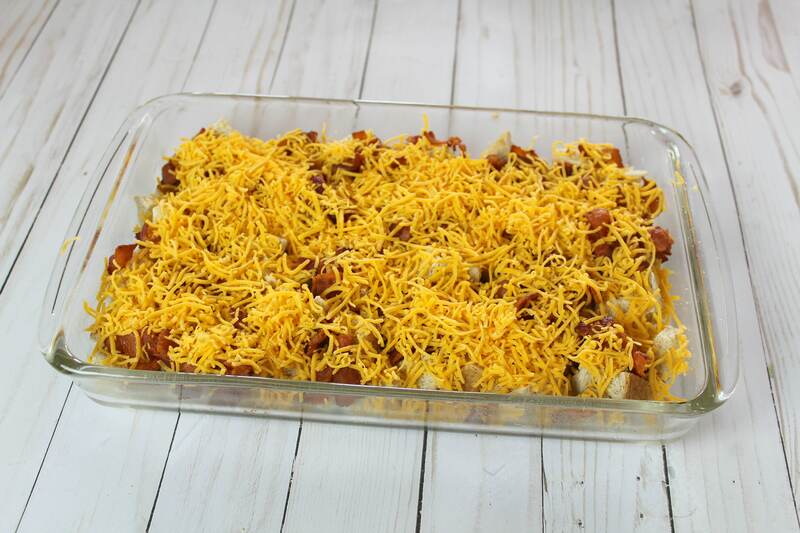 The best thing about this recipe is that you can whip it up the night before, then just pop it in the oven in the morning for a hot, delicious, and hearty meal. It is great for a Sunday brunch or even for busy weekday mornings. Try it soon. You will not regret it! 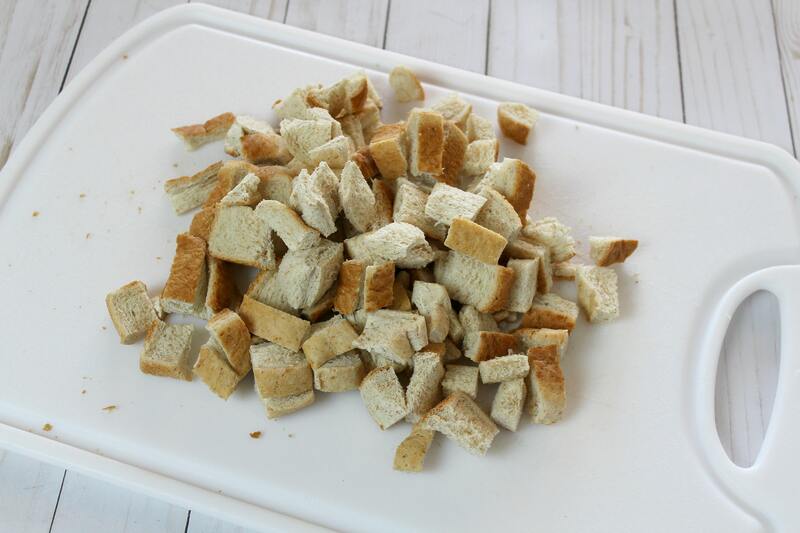 Step 1: Dice bread; cut off crusts if desired. 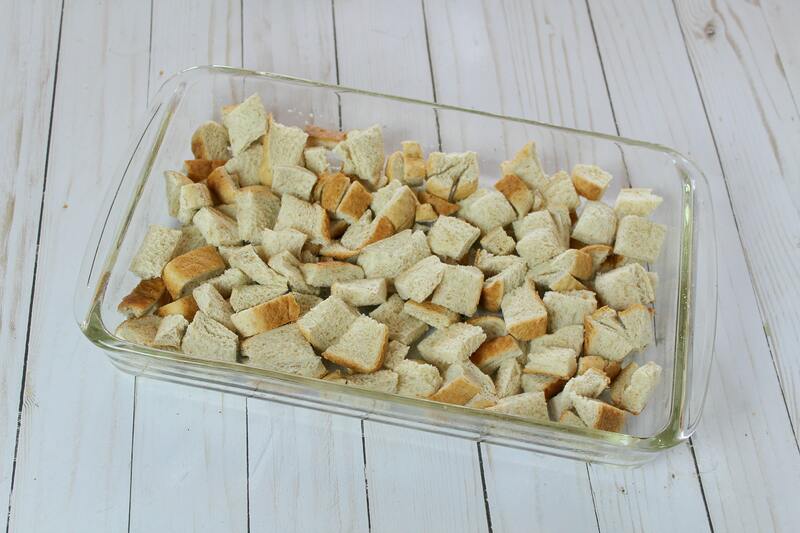 Step 2: Grease 9×13 baking dish; add layer of diced bread to dish. Step 3: Cook sausage or bacon; add meat layer over top of bread then add layer of cheese over meat. Step 4: Whisk eggs until well blended; mix in salt, pepper, mustard, & milk. Step 5: Pour egg mixture over cheese. Step 6: Cover with plastic wrap; press on plastic so that egg mixture covers all of cheese. Refrigerate overnight. Step 7: Bake at 350 degrees for 45 minutes until cheese is golden brown and bubbly. 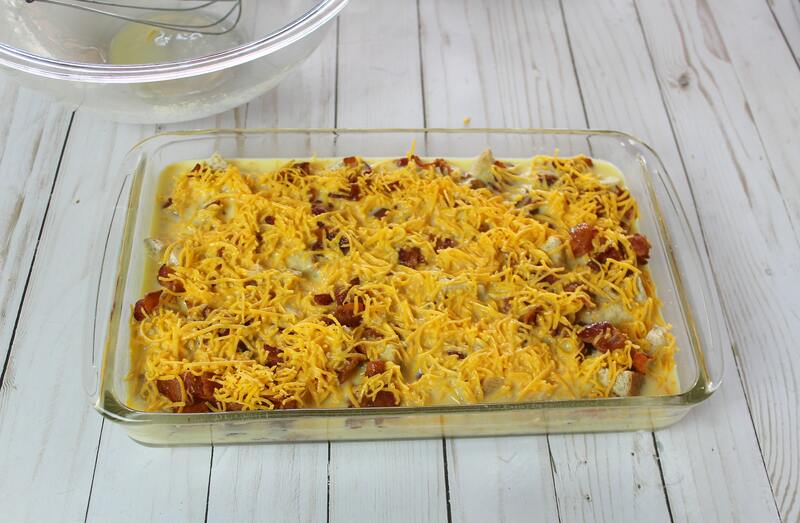 This hearty make ahead casserole is a wonderful breakfast option any day of the week! Dice bread; cut off crusts if desired. 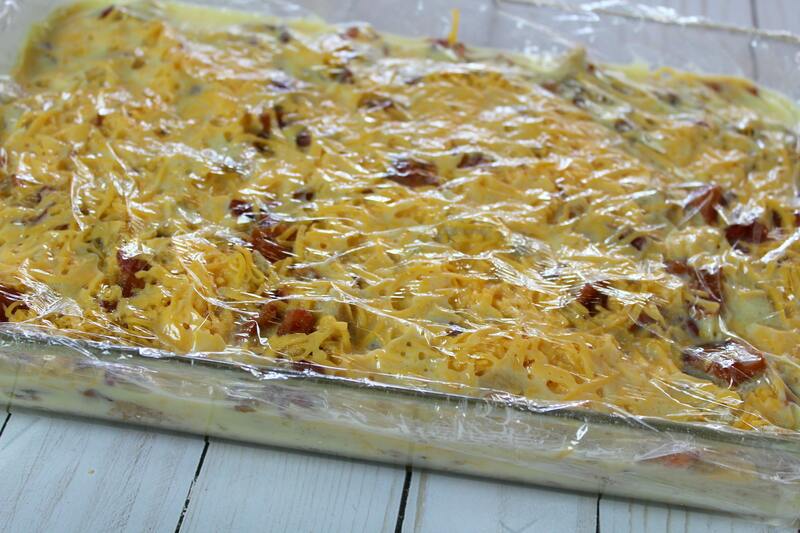 Grease 9x13 baking dish; add layer of diced bread to dish. 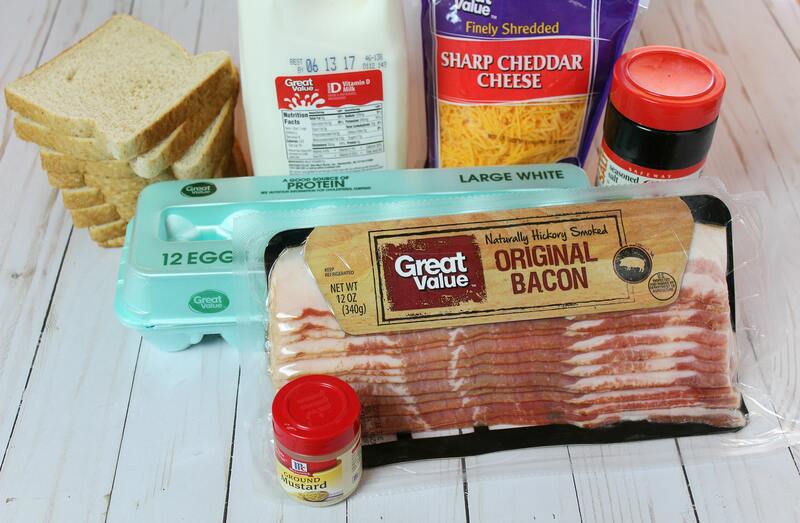 Cook sausage or bacon; add meat layer over top of bread then add layer of cheese over meat. 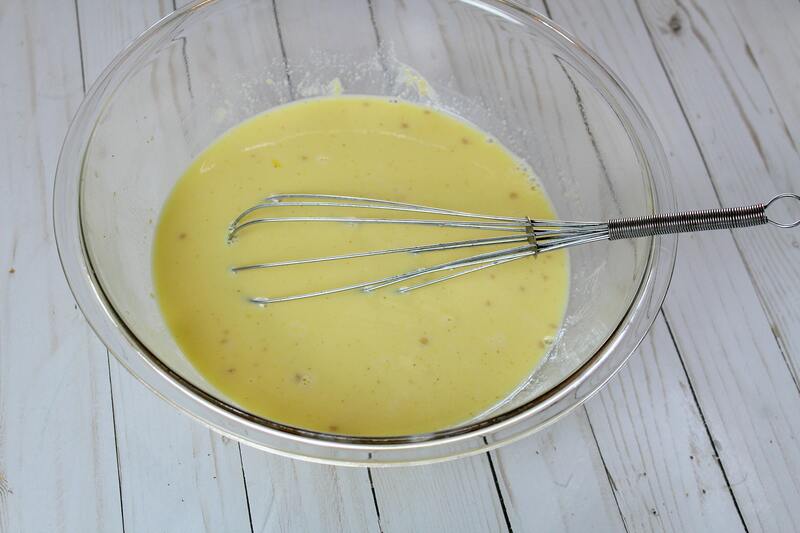 Whisk eggs until well blended; mix in salt, pepper, mustard, & milk. Cover with plastic wrap; press on plastic so that egg mixture covers all of cheese. Refrigerate overnight. Bake at 350 degrees for 45 minutes until cheese is golden brown and bubbly. 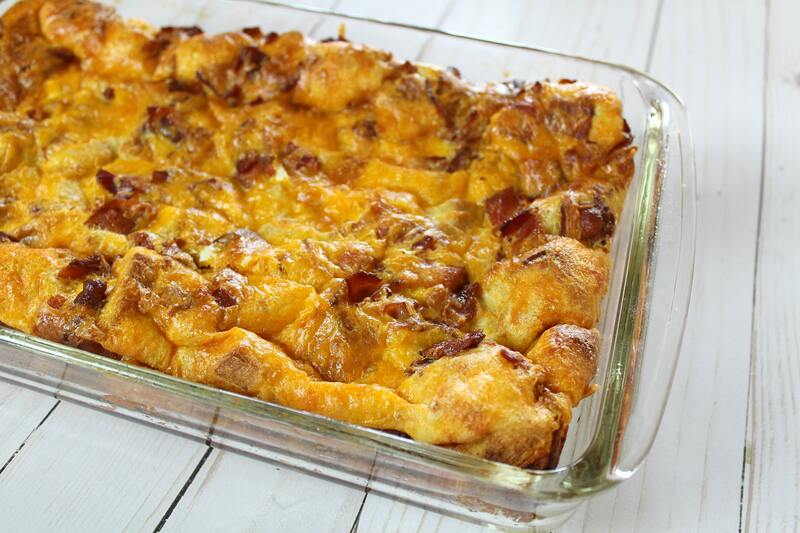 I’ve been looking for breakfast casseroles because of we’ve had several visitors to our home this summer. 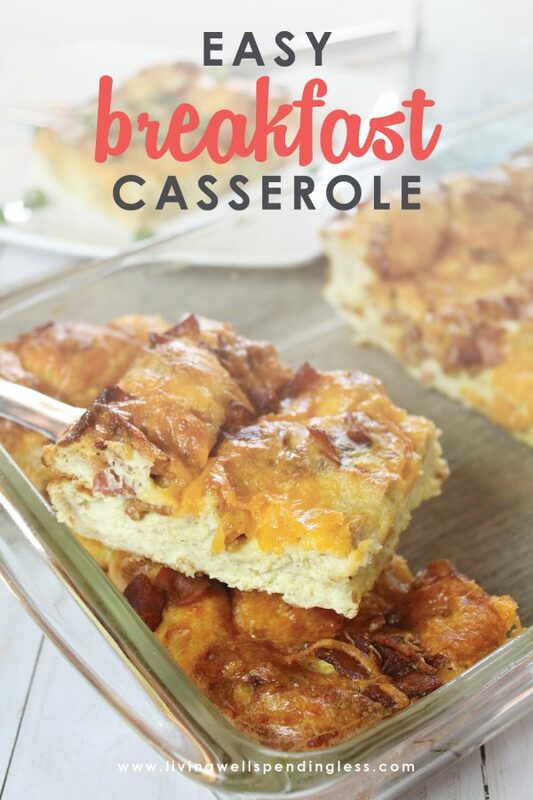 The casseroles were so easy to serve in the morning without having to spend a lot of time getting up early in the kitchen.